This poster was for the show Buffalo Bill's west side story and shows a picture of a lead carachter Anni Oakley. 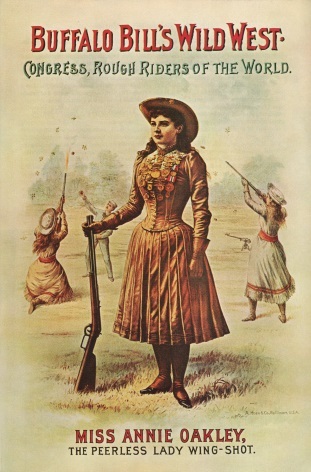 Annie Oakley was an American sharpshooter and exhibition shooter. Oakley's "amazing talent" led to a starring role in Buffalo Bill's Wild West show.